At a time where in certain parts of the world there is a desire to build walls, brick by brick, to keep people out, it’s ironic that elsewhere -- not least in the global fintech space -- the mantra is all about sharing, partnering, competitive innovation and freedom of movement within a well-governed environment. That said, a number of the early digital advisory (or "robo") propositions have -- surprisingly -- been slow to recognize this sentiment, instead aiming to recreate a faster version of the conventional advice (or investment) experience -- "faster horses" syndrome. Hardly the stuff to make the big incumbents shake in their boots or lose any sleep. And so a number of incumbents have continued to adopt the thinking that has rewarded them so well for so many years, continuing to build walls instead of bridges -- the "walled garden" approach, developing everything in-house, and keeping those pesky "disruptors" at bay. But this attitude is slowly changing. Many incumbents have realized -- at the same time as many of the small D2C-only propositions -- that they can’t do it by themselves. B2B partnerships are the way to go. We’re now witnessing an increasing number of exciting new ventures coming to market -- not least challenger banks like Tandem, Monzo and Starling which have a totally different way of thinking, "robo" firms like Moola and Wealthify ready and willing to partner, and Personal Financial Management (PFM) propositions which are getting ever-more sophisticated "under the covers." The benefits: a much faster, more innovative approach based on latest thinking, rather than reliance on in-house people who do not have the required cutting-edge digital skills or knowledge, but who do like the idea of spending time "learning on the job" of the exciting new digital project! Culturally, of course, this is tough. Really tough. To stay relevant and in the game -- "How can we ensure that our customers continue to stay with us for (at least some of) their ﬁnancial needs?" -- senior executives at major banks and insurers now need to make critical strategic decisions in a world many barely understand, and meeting with uber-smart "fintech" people who not only don’t look the part (no Saville Row for them! ), but they speak a different language, too -- open APIs, platforms, bots, sharing data, deep learning AI, robotics, digital transformation, biometrics, SnapChat… Wouldn’t you just love to be a fly on the wall in some of these meetings?! Yet if they get it right, they will provide their customers with a far more engaging and personalized customer journey than they would if they went alone. So what might a "robo-style" digital service look like in the future, that meets the needs of its target customers? First up, it will be targeted. It won’t try to be "all things to all men," but recognize that a deep understanding of specific customer groups -- their hopes, their dreams, their fears -- will deliver a far more engaging and relevant proposition. around the home, such identifying better utility tariffs based on our usage, and benefitting from a group rate, to save money that can be used towards savings or a better lifestyle. when we’re out, loyalty discounts and promotions from our favorite shops and eateries when we are nearby, based on real-time analysis of our spending. for our health, using location and Fitbit stats to reduce our life and CI premiums. to our wealth, helping us optimize what we spend and what we save by making the most of allowances and tax breaks, and telling us what we need to do to hit our goals and achieve our dreams and ambitions; and alerting us when we need to take action. In short, an ecosystem of digital, smart-connected services -- a concierge combination of banking, investing, personal financial management, health and other relevant content and services -- all accessed through a frictionless, digitized or biometric login -- no more passwords to remember. And of course, 100 percent secure. For those familiar with WeChat in China, this is WeChat on steroids! The whole experience will excite and inform, delivered through our preferred platform (such as Messenger or WhatsApp), connected to our virtual assistant (or chatbot), and across our devices of choice. Each service personalised to the way we live our lives, proactively helping us become more informed and make better decisions in all aspects of our lives by providing data visualisations in new ways to provide actionable insights. No longer a silo mentality, this is where organizations that thrive in an environment where innovation drives competition, who are open to partnering, to embracing open API standards, to analyze data to improve segmentation and provide better solutions to meet their customers’ needs, to re-imagining the old into something more relevant and personal, will have a distinct advantage over their "walled garden" counterparts. Just look at innovations such as the evolving Bud proposition, incorporating exciting ventures from around the fintech space into a single, personalized app, or Finimize, the millennials targeted content app that’s now just begun experimenting in Snapchat. Pushing the boundaries, seeing what works, what doesn’t, constantly learning, recalibrating, going again. With PSD2 getting ever-closer, the Pensions Dashboard providing a rich, aggregated source of data, open APIs enabling nimble, innovative businesses to partner and create compelling, integrated propositions, the walled garden in-house propositions offered by a number of the incumbents will begin to look stale and off the pace. Are you developing a rich proposition where consumers come to you because you are relevant to them, and have a role to play in their lives? Or have you lost your relevance and your purpose, in time becoming nothing more than a ‘dumb pipe’ providing the data for more innovative organisations to use? It’s time to partner, to aggregate… or be aggregated. Are you off the wall… or up against the wall? 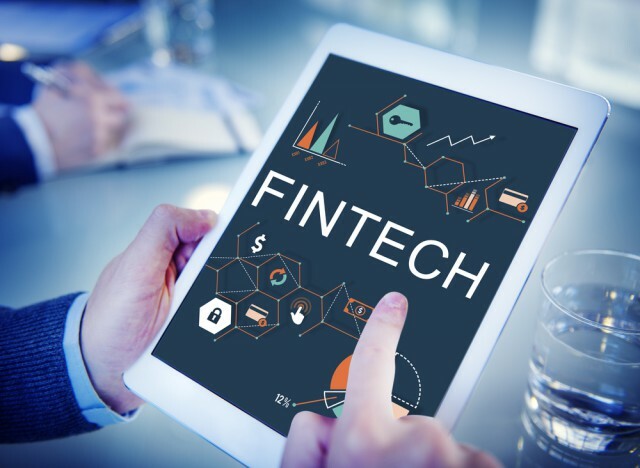 Simon Bussy is a Principal Consultant at Altus Consulting , an authority in the fast-evolving digital advice sector, providing insight, opinion and challenge to blue-chip and fintech clients across the financial services sector. Twitter: @SimonBussyAltus.